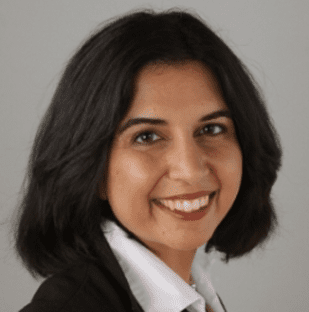 Kanika Bahl is CEO of Evidence Action, a nonprofit organization which measurably reduces the burden of poverty globally by scaling proven solutions backed by rigorous evidence. The organization reaches over 200 million people in Asia and Africa through its Deworm the World and Dispensers for Safe Water program. Previously, Kanika served as Managing Director at Results for Development (R4D), where she established and led the Market Dynamics practice. The practice increased access to lifesaving products such as childhood pneumonia treatments and malaria bed nets for millions of individuals. Prior to R4D, Kanika served as an Executive Vice President at the Clinton Foundation Health Access Initiative (CHAI) where she launched the organization’s work across twenty African countries while based in Zambia and Kenya for four years. Kanika received her MBA from the Stanford Graduate School of Business and her BA in Mathematical Economics from Rice University.